Waiting for the Door to Close. The submission deadline is almost up for those of us throwing our hat in to the ring for ABNA 2014. I’ve been curiously watching to see if the submissions would fill up early, but much like last year, it appears they’re not going to… or at least it will come down so close to the wire, we won’t know if they truly hit 10k or not. I have lots of questions about the process of the Amazon Breakthrough Novel Awards… but there’s no true way to really quantify things. How many submissions do they really get? What’s the initial break down in categories? From what I’ve found there’s no true way to know, short of taking a survey of people willing to post in the forums. I think knowing the raw numbers alone would be helpful in figuring out market segments, and where to focus effort as you craft future work. This is probably why they don’t tell us. But maybe it’s better that way. A little vague competition keeps everyone wondering and makes it harder to work the system. For now, tonight marks the beginning of the real wait. I’m more patient than last year because I have a better idea of how things go, but I’m still insanely curious to see how far my submission goes this year. 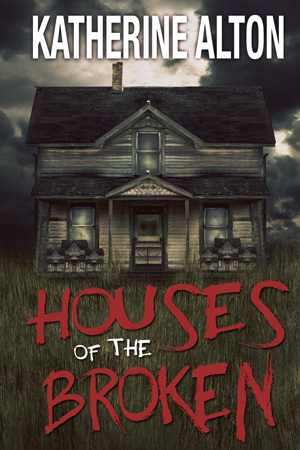 Once again, I submitted Houses of the Broken. Last year HoTB made it to the Quarter Finals, but no further. In truth, I was pretty pleased for it being my first attempt. With nearly the same material as I submitted last year, I am more curious about seeing if I get the same results, than I am hedging my bets on my chance at winning. Will I get kicked out at the Pitch stage? Maybe never make it past the second cut? I have little illusion that I’ll go ‘all the way’ but… you never know. Good readers having bad days can send your submission into the circular file. And bad readers… well… we all seem to get at least one. We all have our triggers, I suppose. So now… well, soon… we wait. In the mean time I need to try and keep busy with other things, because I officially have no control over my fate until the dust settles. Patience is not my virtue.